The famous question who came first the chicken or the egg is not yet answered but maybe this t-shirt can help. 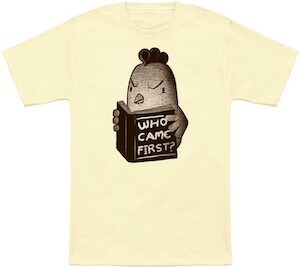 On the t-shirt, you can see a chicken and it is reading a book and the title of the book is “Who Came First?”. So yes it is a funny t-shirt that may bring smiles and good discussions about the famous egg question. You can get this chicken t-shirt in styles for both men and women and it is available in many colors and in sizes Small – 6XL and all are made from 100% cotton. 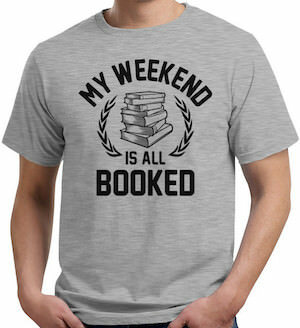 If books are more important to you then hanging out with friends on the weekend then maybe wearing this t-shirt will explain that to your friends. 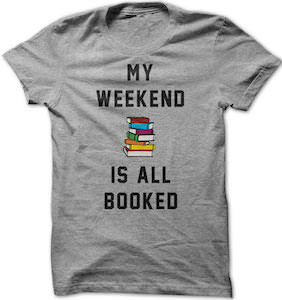 On the t-shirt you can see a stack of books and the text “My weekends is all booked” and yes this mean that you are too busy because you want to read all those books. You can get this funny book t-shirt in styles for men and women and it comes in sizes Small – 3XL and is made from 100% cotton. And it even comes in many fun colors. It seems like this is the best t-shirt to wear when you are reading or to warn people not even to bother asking you to hang out on the weekend. 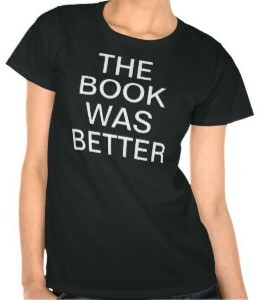 Now there is a t-shirt that tells the world not to bug you because you have reading to do on the weekend. On the t-shirt you can find a picture of a stack of books and besides the books the t-shirt also says “My Weekend Is All Booked”. So no need for friends to want to hang out because you have plans to read all those books. 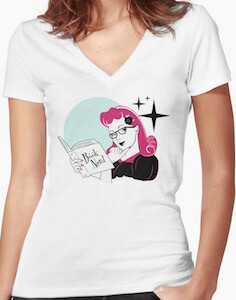 You can get this funny book t-shirt in men and women’s styles in sizes ranging from Small – 4XL. 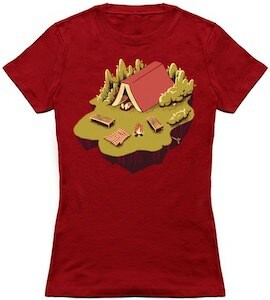 And this t-shirt comes in many fun colors and is made from 100% cotton.